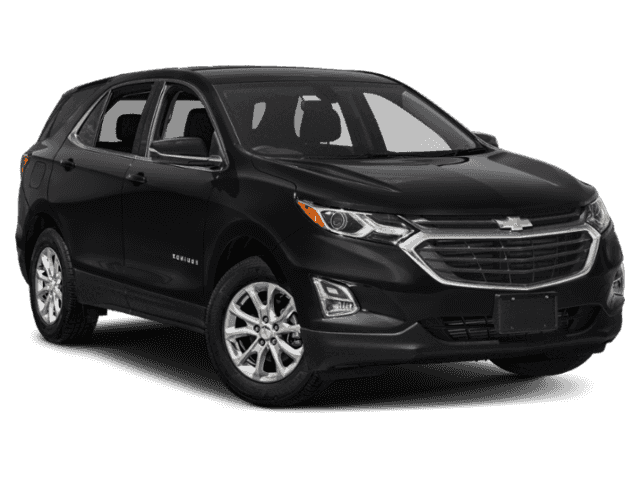 The new Chevy Equinox is the adventure-ready SUV that pairs remarkable efficiency with contemporary style. Step into the future with the new Chevrolet Equinox. 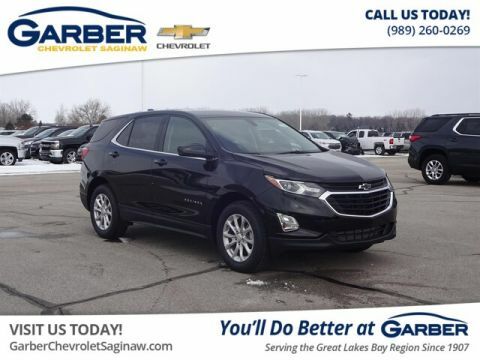 This compact SUV ditches the boxy look of the past and opts for sleek lines and modern contours to create a contemporary look that grabs attention as you cruise by. 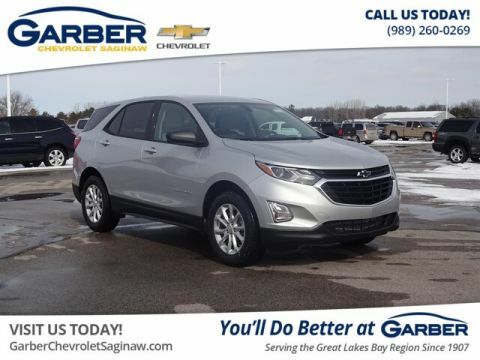 The Equinox continues to impress on the inside with spacious front and rear seating, chrome accenting, and up to 63.9 cubic feet of cargo space. 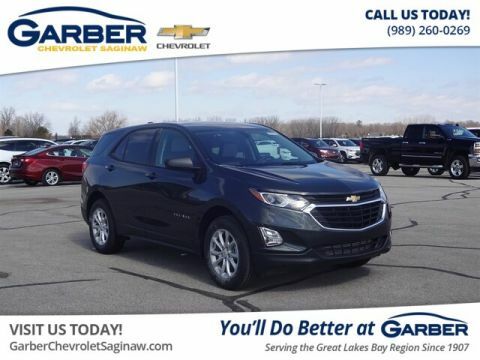 Whether you’re commuting to Mount Pleasant, visiting friends in Auburn, or spending the night out in Bay City, the new Chevy Equinox has all the stylish good looks it needs to get heads turning. 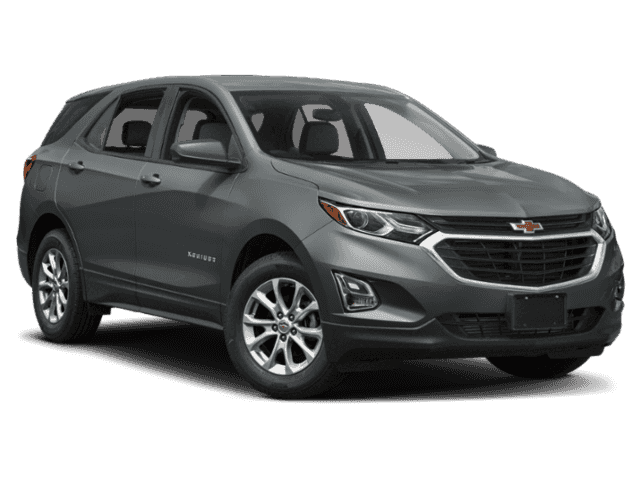 Chevrolet offers the new Equinox with three outstanding powertrains so you can tune this compact crossover to how you drive. 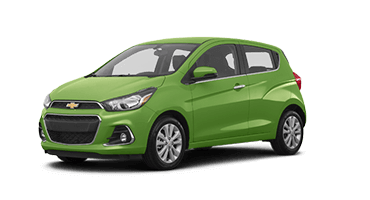 Enjoy remarkable fuel efficiency with the available 1.6-liter turbo-diesel engine that offers up to 39 mpg highway. 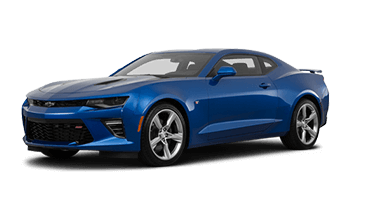 If power is what you’re after, choose the 2.0-liter turbocharged engine that kicks out 252 horsepower and 260 pound-feet of torque. The new Equinox also boasts a 3,500-pound towing capacity so you can bring more along for the ride. 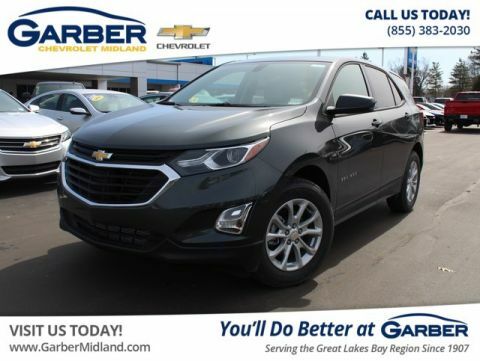 Seeing is believing, so schedule a test drive of the new Chevy Equinox today with Garber Chevrolet Midland. Make a bold statement in the new Chevrolet Equinox. 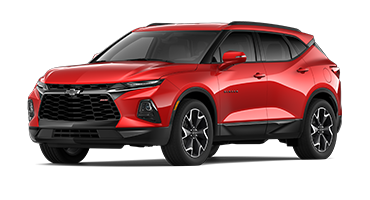 This compact SUV shows off contemporary flair with its chrome-accented dual-port grille, available LED headlights, and a wide range of fun colors options. 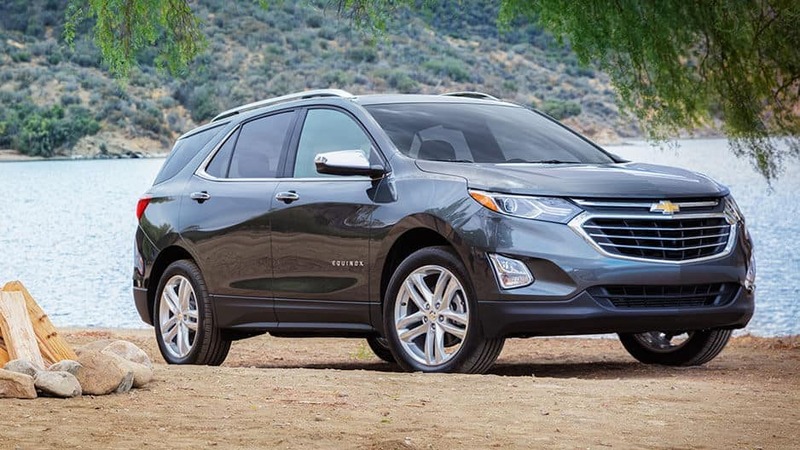 Chevrolet designed the new Equinox to standout in a crowd. 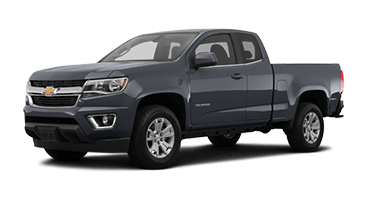 This contemporary masterpiece will leave a lasting impression with its bold chrome-accented dual-port grille, athletic stance, and chiseled body. Hands full? No problem! The new Chevy Equinox’s hands-free gesture liftgate makes hauling groceries, dry cleaning, or home improvement supplies a breeze. Wave your foot below the rear bumper to open the liftgate to a programmable height. The new Chevy Equinox offers available LED headlights that cast bright light farther down the road than traditional halogen bulbs. It also offers available LED taillights that broadcast your movements to vehicles behind you. Keep your view clear on all sides with the Chevrolet Equinox’s available heated side-view mirrors. You can activate them with the rear defroster and keep snow, ice, and fog at bay. 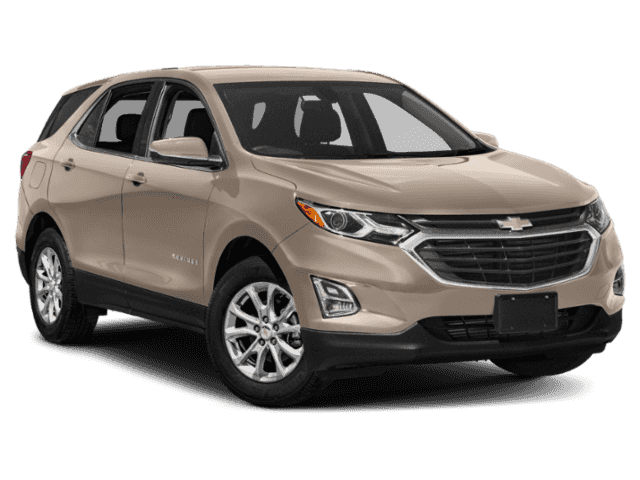 Chevrolet offers the new Equinox with 14 eye-catching color options. 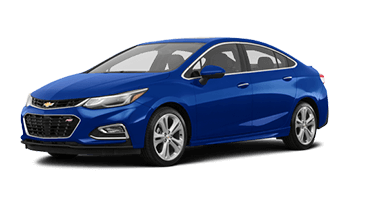 Choose from colors such as Ivy Metallic, Pacific Blue Metallic, and Sandy Ridge Metallic to make the Equinox truly yours. 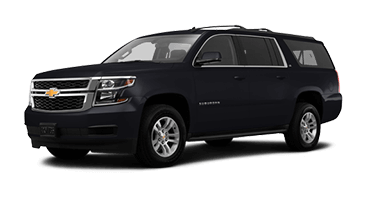 Chevrolet wanted to ensure you travel in comfort and style at all times. 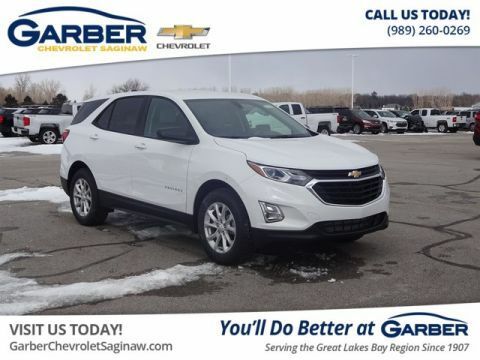 That’s why the new Chevy Equinox has all the comfort you need to feel like your home away from home, including available heated and ventilated front seats, dual-zone climate control, and up to 63.9 cubic feet of cargo space. No matter what the weather’s like outside, the Chevy Equinox’s available heated and ventilated front seats wrap you in comfort. Just press a button to heat or cool the seats to your desired setting. 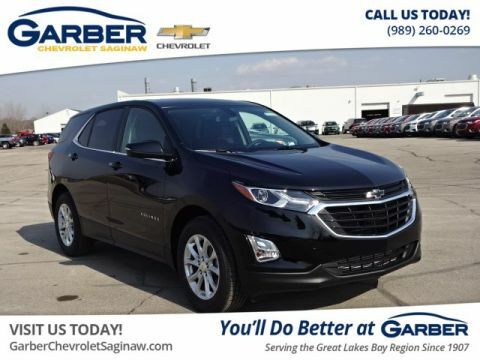 The Chevy Equinox’s steering-wheel-mounted controls make it easy to change music, set cruise control, and answer calls without lifting your hands from the safety of the wheel. 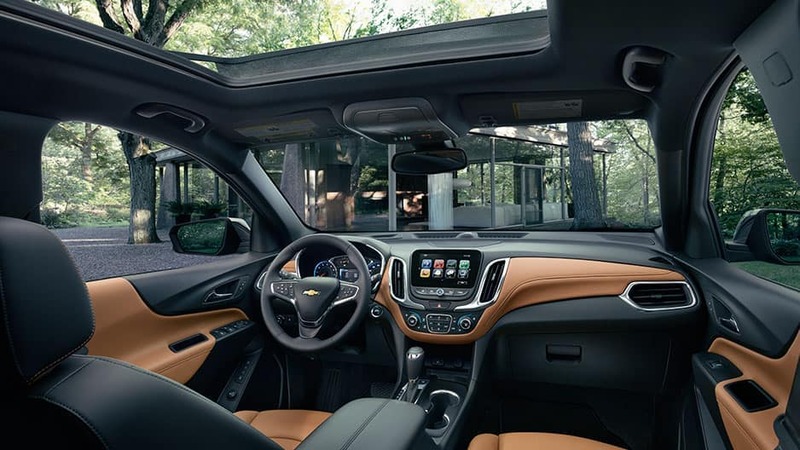 Chevy designed the new Equinox’s interior to be just as modern as the outside. 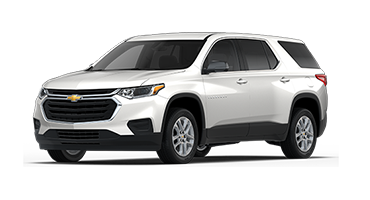 This compact SUV features chrome trim around the knobs and vents, a sculpted dashboard, soft-touch materials, and accent stitching that gives this cabin a contemporary feel. The new Chevy Equinox makes it easy to bring more along for the ride. Lower the 60/40 split-fold rear seats and unlock up to 63.9 cubic feet of cargo space. That’s more than enough room for your camping gear, sports equipment, or anything else you may need. Keep glare away with the new Chevy Equinox’s auto-dimming rearview mirror. At night, the mirror adjusts to reduce glare from headlights behind you. Integrate the Equinox’s state-of-the-art technology into your lifestyle. 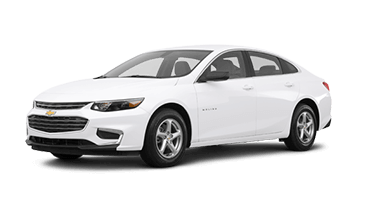 With features such as the Chevrolet Infotainment 3 system, 4G LTE Wi-Fi, and Bose® Premium Audio, you never suffer through a boring drive again. The new Chevy Equinox makes it easy to stay connected with its available 4G LTE Wi-Fi hotspot. The hotspot supports up to seven devices so you and your passengers never miss a thing. 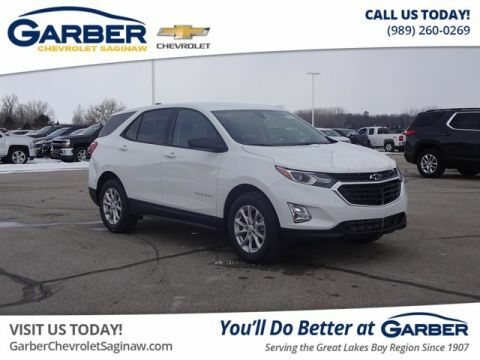 Connect your smartphone to the Chevy Equinox’s Chevrolet Infotainment 3 system and enjoy your favorite apps right from the 8-inch touchscreen. Stream your favorite music, answer calls hands-free, or look up directions without picking up your phone. Pump up the volume in the new Chevy Equinox with the available Bose Premium Audio system. This system features seven speakers from the masters of sound engineering that surround you with crystal-clear audio on every drive. Chevy made it easy to keep your smartphone’s battery full with the Equinox’s available wireless charging pad. Just set your compatible device on the charging pad, and the Equinox will handle the rest. 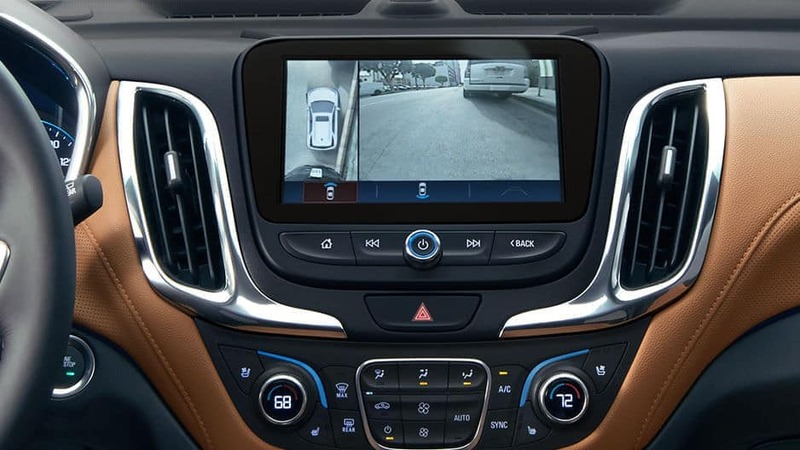 Reverse out of any parking spot with ease courtesy of the Chevy Equinox’s rearview camera. When you place the Equinox in reverse, the display screen shows a live feed of the area behind you with dynamic guidelines to lead the way. 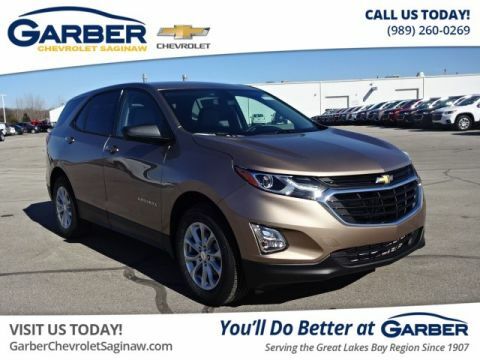 While there is no substitute for an alert driver, the Chevrolet Equinox provides tools to heighten your awareness and up your defensive-driving game. 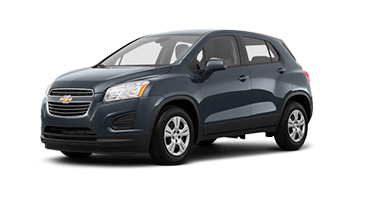 With an abundance of advanced safety technologies available, the Equinox is as serious about safety as you are. With the Chevy Equinox’s adaptive cruise control, you can choose a set following distance and cruising speed. If the system detects a slower vehicle ahead, it will adjust your speed to maintain the preset distance and return to the original speed when the vehicle is gone. The new Chevy Equinox’s forward collision alert detects collision threats before they occur. The system alerts you if it detects you’re too close to another vehicle or if a front-end collision is imminent. Chevrolet makes reversing out of crowded parking spots stress-free with rear cross-traffic alert. Using radar sensors, the system detects if there are vehicles about to cross your rearward path and will alert you with visual warnings on the rearview camera. 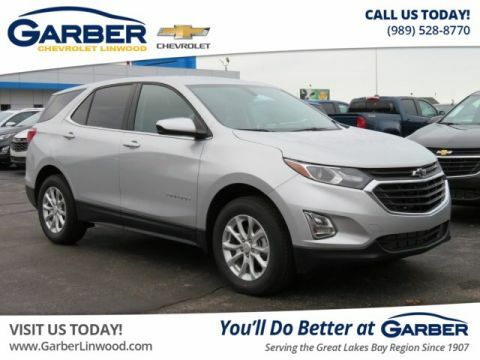 Side blind-zone alert uses radar sensors on both sides of the Chevy Equinox to warn you when a vehicle enters your blind spot using a visual indicator on the corresponding side-view mirror. Using ultrasonic sensors in the rear bumper, the new Chevy Equinox detects stationary objects in your path while reversing and alerts you on the rearview camera if you’re too close to something. 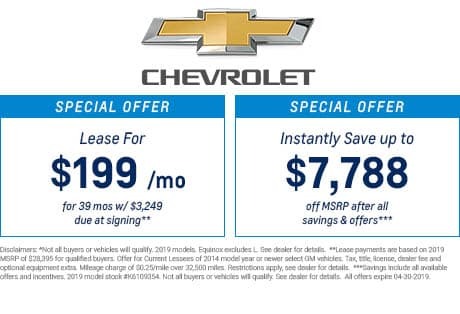 Whether you’re looking to go farther on a tank of gas or need the power to tow your jet skis to the lake, the new Chevrolet Equinox delivers the performance you want. Choose from three available engines for an experience customized to you. Who knew an SUV could be this efficient? 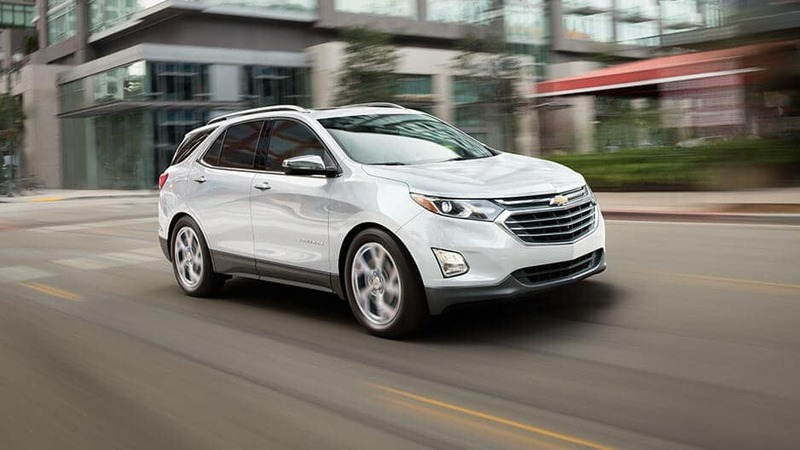 With the Chevy Equinox’s available 1.6-liter Turbo-Diesel engine, you’ll enjoy an EPA-estimated 39 mpg highway. You’ll spend less time at the pump and more time enjoying the road. 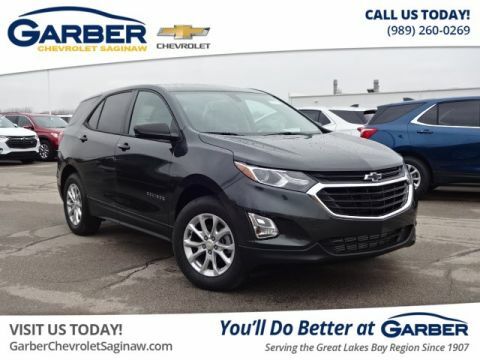 Offering a balance of power and efficiency, the Chevy Equinox’s standard 1.5-liter turbocharged engine gets an impressive 32 mpg highway while delivering 170 horsepower and 203 pound-feet of torque. When you crave a little extra power, opt for the Chevy Equinox’s available 2.0-liter turbocharged engine. 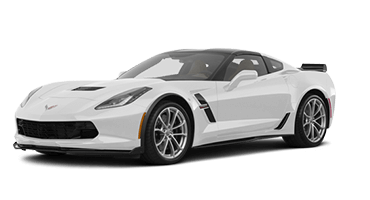 Paired with a new nine-speed automatic transmission, this engine offers a thrilling 252 horsepower and 260 pound-feet of torque. It also offers a 3,500-pound towing capacity, so bring your trailer or jet skis along for the ride. 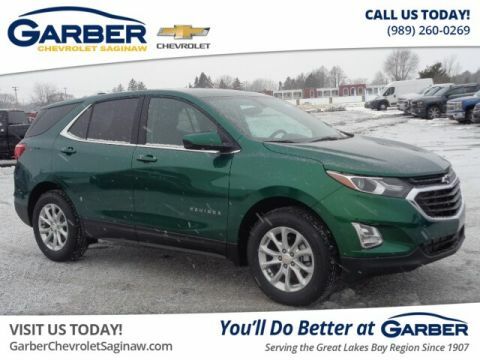 With the Chevy Equinox’s available switchable all-wheel drive, you can choose when to engage all-wheel drive to enhance traction and control on slippery road. 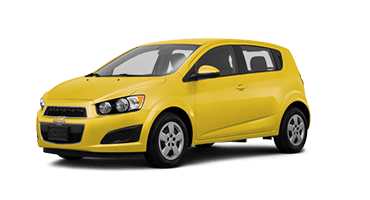 This allows you to have the control you want while still enjoying fuel efficiency when you don’t need all-wheel drive. Chevrolet equipped the new Equinox with the StabiliTrak® electronic stability control system. 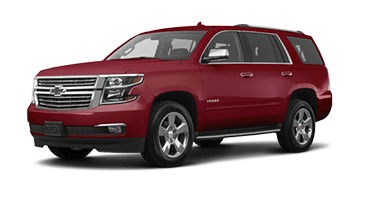 The system provides enhanced control to keep this compact SUV stable when you make sudden emergency maneuvers. for Overall Quality and for Predicted Reliability. 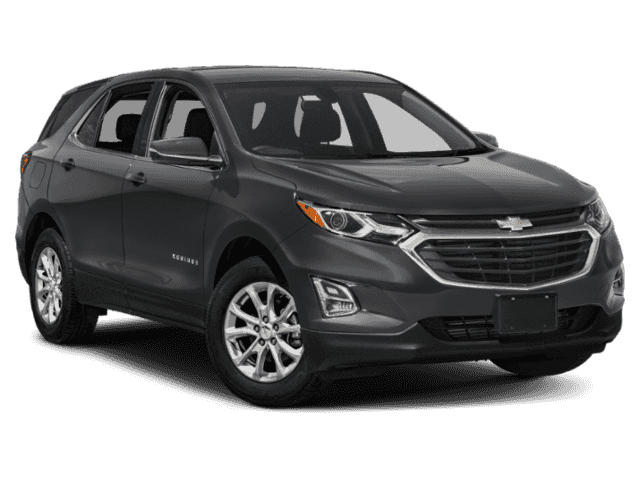 When you want SUV versatility with fuel efficiency of a sedan, look no further than the new Chevrolet Equinox. 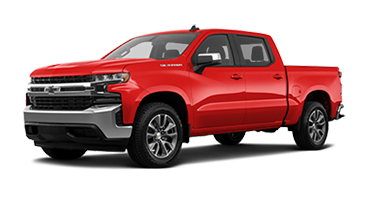 This compact SUV heralds your arrival with an athletic stance, available LED lighting, and dual-port grille with iconic Chevy bowtie. 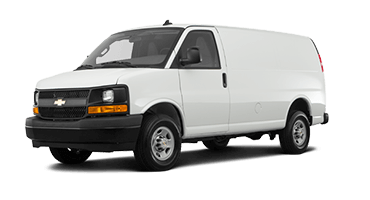 Slip inside and discover up to 63.9 cubic feet of cargo space with the 60/40 split-fold seats lowered. 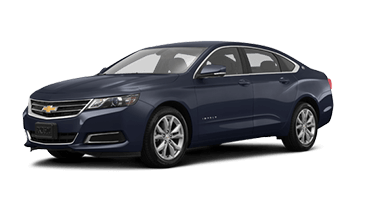 In the front sits the innovative Chevrolet Infotainment 3 system with available 4G LTE Wi-Fi keeping you connected on your drive. 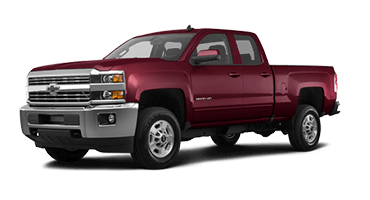 With the available 1.6-liter turbo-diesel engine, you don’t have to worry about spending an arm and a leg on fuel. This efficient diesel engine boasts 39 mpg highway, allowing you to spend less time at the pump and more time on the road. 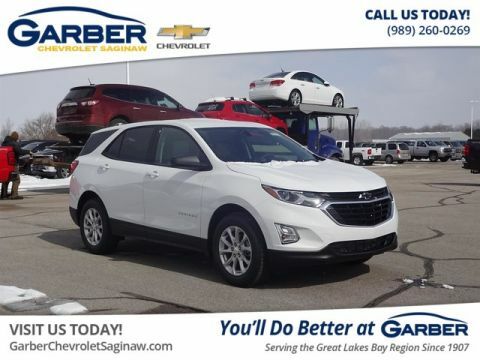 The Chevy Equinox also offers a 3,500-pound towing capacity with its 2.0-liter turbocharged engine, so you can bring your trailer or jet skis with you. 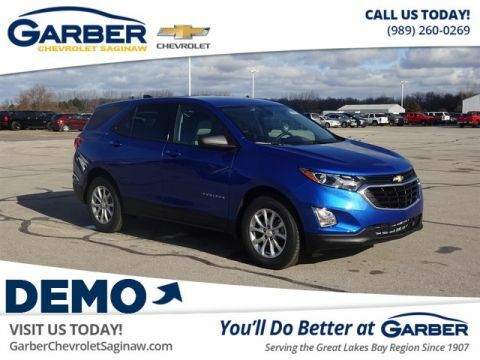 Discover the new Chevy Equinox today, by scheduling a test drive with Garber Chevrolet Saginaw.